Strategic Networking focussed on Energy Governance in East Africa with the Africa Sustainability Hub (ASH). As well as developing capacity building activities with Northern collaborators such as the RECP and Energia, we are developing strategic capacity building initiatives with two existing Southern partners. One of these partners is the African Sustainability Hub (ASH) in Kenya (a partnership between the STEPS Centre at University of Sussex, the Stockholm Environment Institute, the Africa Technology and Policy Studies and ACTS, where the secretariat is hosted). We are further developing existing capacity building collaborations and also cross-fertilising lessons learnt across the two networks. We also seek to incorporate collaborations with the WISIONS practitioner networks in Wind, Hydro and Biogas, with whom we have also been cooperating into these initiatives. 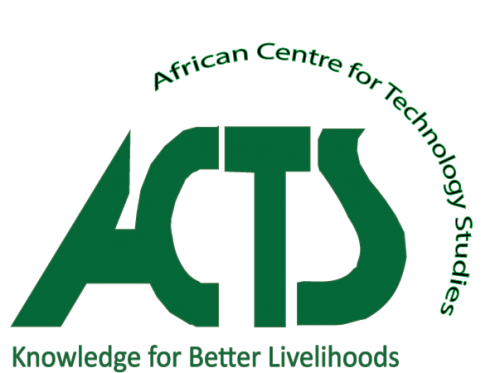 ACTS is already a partner on one of the USES projects and will be co-organising a major USES event with the LCEDN in 2017. We are developing this collaboration via organizing two further events together over the following twelve months building upon the existing capacity building work of the ASH (for example via ACTS’ involvement in the African Leadership Academy for Science, Technology and Innovation for Sustainable Development and the African Network for the Economics of Learning, Innovation, and Competence Building Systems). These events will focus on building capacity across the range of organizations convened by the ASH in areas of mutual interest, e.g. enhancing local governance and addressing gender dynamics and power relations within energy access initiatives. These interactions will feed into a short report on capacity-building initiatives and needs in both regions to feed into the RPDC’s scoping work. The Africa Sustainability Hub (ASH) is based in Kenya and constitutes a partnership between the STEPS Centre at the University of Sussex, the Stockholm Environment Institute (SEI), the Africa Technology and Policy Studies (ATPS) and the African Centre for Technology Studies (ACTS), where the secretariat is hosted. The aim of ASH is to create a network of researchers working on sustainable development across Africa, it is part of STEP’s wider Global Consortium. This consortium was founded in 2015 and links six regional Sustainability Hubs with longstanding partners, strongly grounded in research and founded on equal collaboration among researchers and stakeholders. Each hub brings new perspectives to the challenges of global sustainability. In a crowded global research environment, the intention is to create a truly unique platform of international, transdisciplinary action-oriented work – combining contrasting natural and social scientific understandings of the challenges.